I regard bigger (political) subject matter as important, but I do not disregard minor subject matter. No matter what the subject of a work, it must primarily be lively and able to move people. In 1937 Wang Qi graduated from the Shanghai School of Fine Arts where he studied Western painting. From 1938 he worked as art teacher and editor, successively in Wuhan, Yan’an, Chongqing, Nanjing, Hong Kong and Shanghai, until he transferred to the Central Academy of Fine Arts in Beijing in 1949. He was chief editor of the journals Meishu (Art) and Banhua (Prints) and was Chairman of the Chinese Printmakers’ Association. 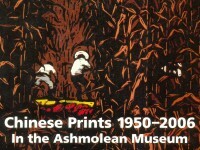 With mostly monochrome and finely cut images, his highly realistic prints vividly reflect the transformation of modern China’s history since 1950. Wang is the author of numerous articles and books on art history and theory. After the Cultural Revolution, artists regained the freedom to depict daily scenes without any political content. The period after 1977 has been described as the ‘Spring of arts and literature’, and this print depicts people sightseeing in Spring. 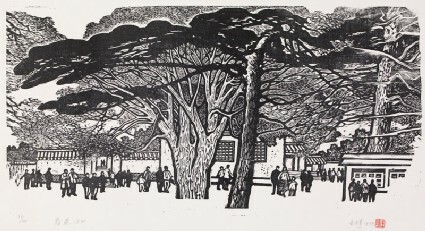 Wang Qi is one of the first generation of modern Chinese printmakers. He was chief editor of the journals Meishu ('Art') and Banhua ('Prints') and was Chairman of the Chinese Printmakers’ Association. 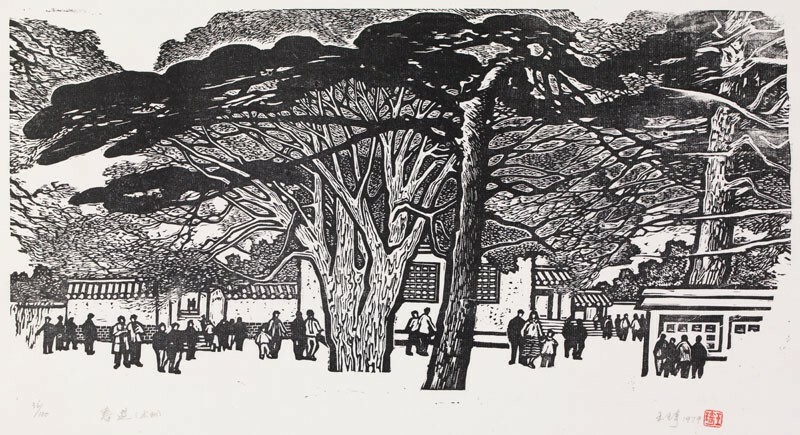 With mostly monochrome and finely cut images, his highly realistic prints vividly reflect the transformations of modern China since the late 1930s.